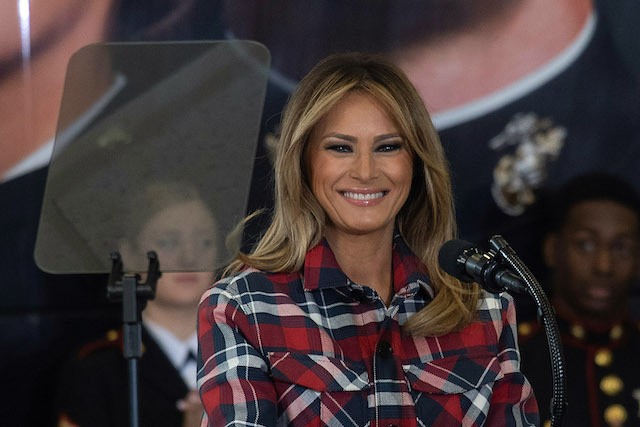 Melania Trump turned heads Tuesday when she showed up in a red, blue and white plaid top and pants combo at a Toys for Tots Drive in Washington, D.C.
She completed the great look with loose hair and navy blue high heel boots. 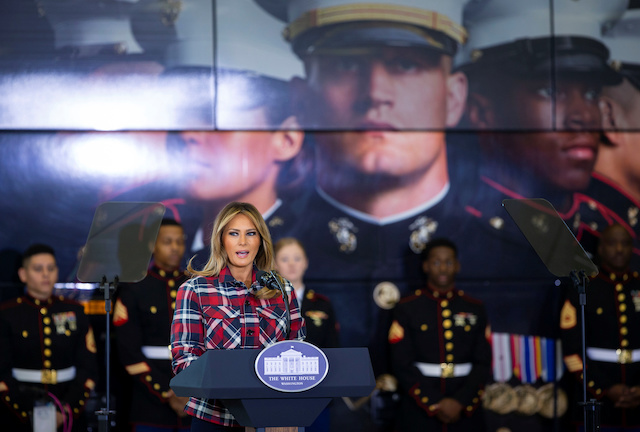 Trump briefly spoke before helping the Marines and kids sort the toys and make Christmas cards for the gifts, per a White House release from the first lady’s office. 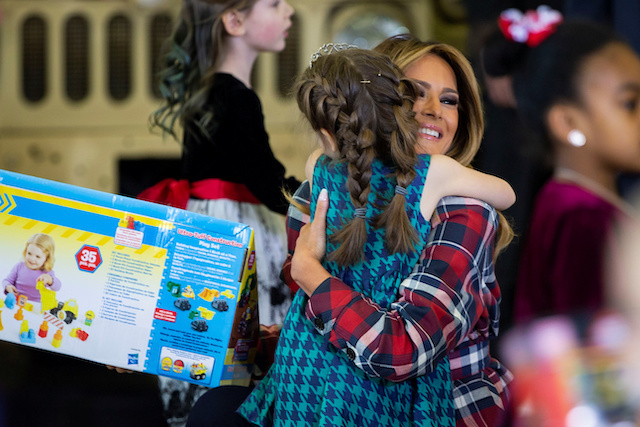 FLOTUS donated 100 books for the Toys for Tots Literacy Program and brought Be Best totes filled with coloring books and White House candies for the kids helping at the drive, the release added. 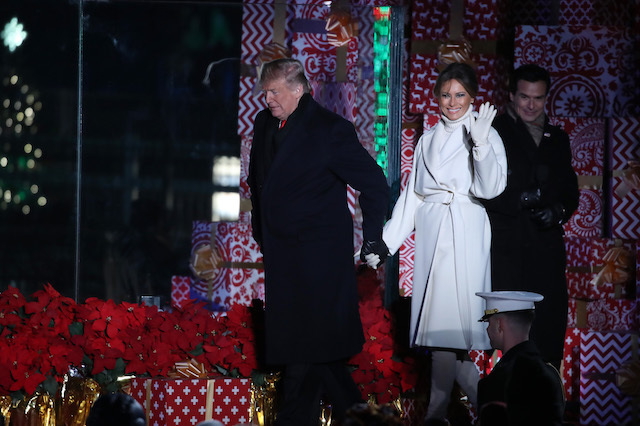 The first lady always looks terrific, especially this time of year. 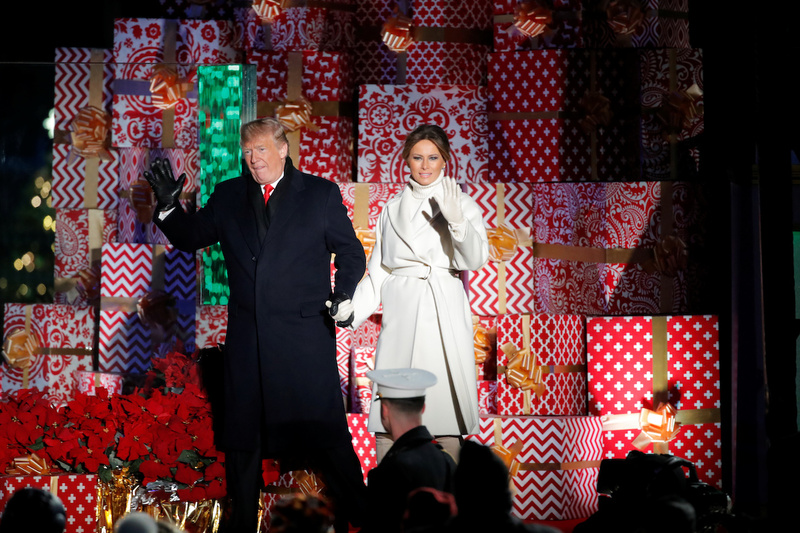 Recently, she wowed in a gorgeous cream-colored coat and vanilla-colored knee-high boots as she joined President Donald Trump at the 96th Annual National Christmas Tree Lighting ceremony in Washington, D.C.